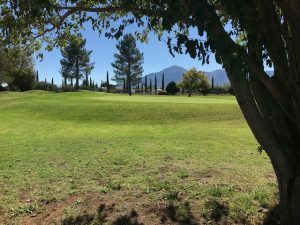 The oldest continuously operating golf course in Arizona was recently rescued from closure, thanks to an article in the local paper seen by a business owner and real estate broker who decided to purchase it. 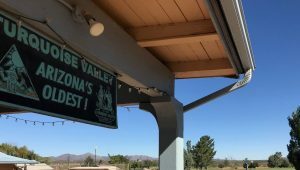 The story about the imperiled Turquoise Valley Golf Resort near Bisbee caught the eye of Joseph Lewis, who decided to take a chance and purchase the 110-year old course in September with hopes of reviving it. 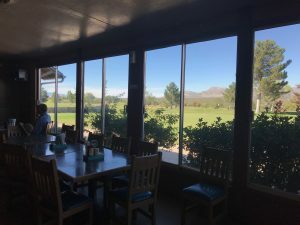 The course, which is technically in the town of Naco, Arizona and about ten minutes from Bisbee, is a sprawling 18-hole desert course adjacent to an RV park with sweeping views of the nearby Mule Mountains. 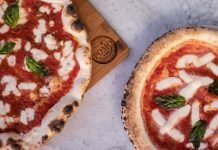 Many golfers have no idea the course exists, but Lewis is hoping to change that by renovating the course, re-opening the restaurant and bar, making the grounds and clubhouse available for events, and offering stay-and-play packages to out-of-town guests. Lewis said that being the fourth owner in as many years means they have their work cut out for them to bring the course back to its original, well-respected condition. 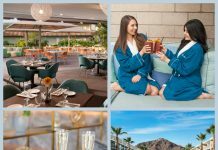 Over a recent breakfast of Mexican specialties and Bloody Mary’s at the course restaurant, Lewis and his team of managers brainstormed ideas to draw in golfers and non-golfers alike, everything from delivering ice cold six-packs on the course, to organizing weddings, quinceañeras and music festivals. 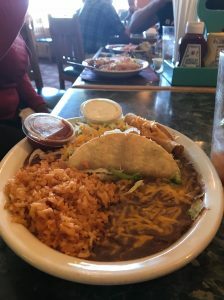 The Taco & Enchilada Combo ($6.95) is among many Mexican specialties, as well as burgers, sandwiches and hot dogs served in the clubhouse restaurant at Turquoise Valley Golf Course. The restaurant is currently open for breakfast and lunch, with expanded hours and offerings coming soon. 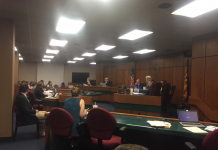 Chanik says the biggest challenge is climate-based, as it is with most golf courses in the Arizona desert, and updating their water and irrigation systems. What puts Lewis in a unique position to draw out-of-town tourists to the area is his vacation properties in nearby Bisbee. Lewis owns several single and multi-tenant rental properties there which he offers through sites such as VRBO and Airbnb, but he’s also in the process of negotiating stay-and-play package deals with local hotels as well. 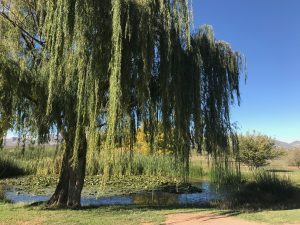 Lewis hopes to attract golfers to the course who want to experience something more natural than the typical Phoenix or Tucson suburban golf course surrounded by houses. Lewis’ favorite part of the course? A wetland riparian area weaves its way through the Turquoise Valley Golf Course. Chanik says the course offers something unique for golfers who want to try something different.